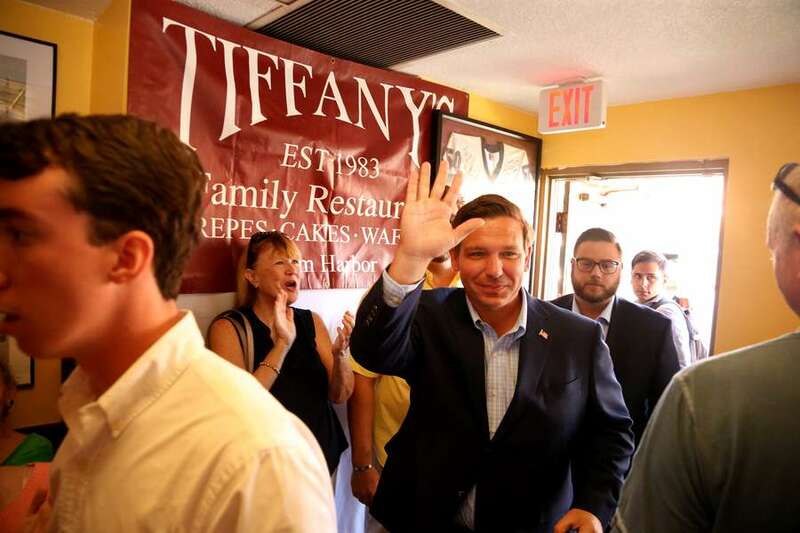 DOUGLAS R. CLIFFORD | Times Gubernatorial candidate Ron DeSantis arrives to speak to supporters on Monday (8/27/18) at Tiffany’s family restaurant in Palm Harbor, the day before the primary election. A newly released poll by Quinnipiac University finds the governor's race between Ron DeSantis and Andrew Gillum virtually tied, with Tallahassee Mayor Gillum supported by 50 percent of likely voters and U.S. Rep. DeSantis by 47 percent. 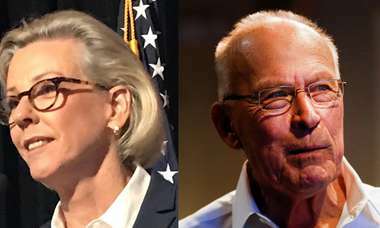 The Aug. 30 – Sept. 3 poll of 785 likely Florida voters (MoE +/- 4.3 percent) found men backing DeSantis over Gillum, 52 percent to 45, and women preferring Gillum, 56 percent to 43 percent. "Mayor Andrew Gillum came out of his upset victory in the Florida Democratic primary with a head of steam," said Peter A. Brown, assistant director of the Quinnipiac University Poll. "That momentum shows itself as Gillum hits 50 percent in a neck-and-neck match-up with Republican U.S. Rep. Ron DeSantis for the four-year lease on the governor's mansion." "Neither man was well-known before their primaries, but since then the race has become a center of political attention in the state." White voters go Republican by a narrow 52 – 45 percent, as black voters go Democratic 93 – 2 percent. Hispanic voters go 56 percent for DeSantis and 43 percent for Gillum. Republicans back DeSantis 92 – 6 percent, as Democrats back Gillum 93 – 3 percent. Independent voters go to Gillum 55 – 42 percent. Gillum gets a 46 – 33 percent favorability rating, while DeSantis gets a split 45 – 43 percent favorability rating. Florida likely voters give President Donald Trump a slightly negative 47 – 51 percent job approval rating. More than half of the likely voters said President Trump will not be a factor in their vote for governor. Twenty-two percent said their decision will be more to express support for the presiden,t and 24 percent said their vote for governor will be more to express opposition.